Offshore Weather Services continues to enhance its wave modelling skills in line with the company’s objective to provide clients with accurate wind and wave forecasts. OWS Numerical Modelling Specialist Dr. Simon Caine and Marine Forecaster Alistair McKelvie recently attended the ‘Wave Modelling Workshop with WAVEWATCH III’ at the <a title="COEST" href="http://www.swinburne.edu click to read more.au/science-engineering-technology/oceanography/”>Centre for Ocean Engineering, Science and Technology (COEST) Swinburne University on 17-21 November 2014. 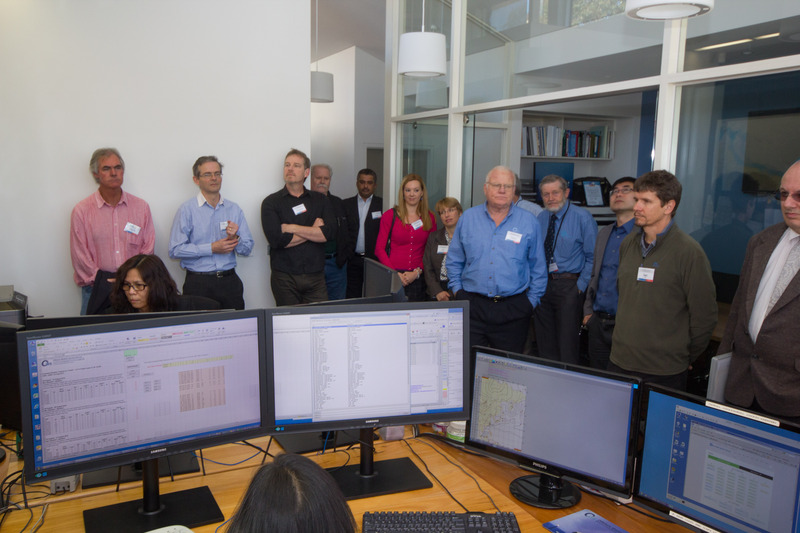 The 5-day wave modelling workshop was a collaboration between COEST of Swinburne University and NCEP/NOAA. It was run by Prof. Alex Babanin and Dr. Stefan Zieger from Swinburne University, and Dr. Andre van der Westhuysen from the WWIII development group at NOAA. The workshop discussed the theoretical and practical introduction to the model and included information on recent development. Knowledge and skills learned from the workshop are taken on board by Simon and are currently being integrated in the OWS wave models, while Alistair is working on the new wave system tracking feature. 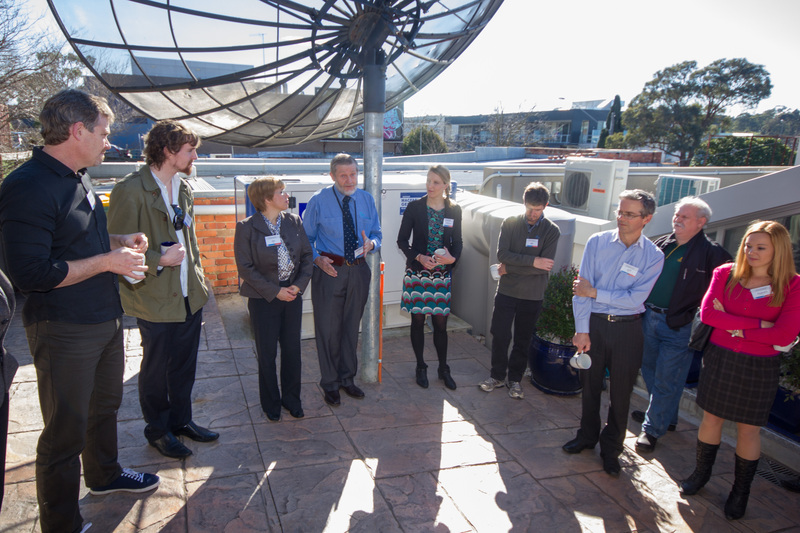 Peter Wellby, Eric Tiong Dave Duncalf, and Alistair McKelvie were amongst the meteorology experts that attended the 8th Annual CAWCR Workshop held at the Bureau of Meteorology office in Melbourne on 10-12 November 2014. The Centre for Australian Weather and Climate Research (CAWCR) is a partnership between the Australian Bureau of Meteorology and CSIRO. 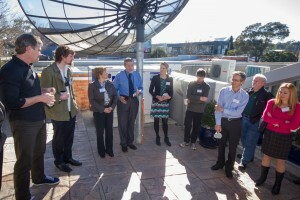 The annual workshop brings together a large number of Australian national experts from the Bureau of Meteorology, CSIRO, Australian universities and research centres, private weather service providers as well as a number of prominent overseas scientists. The theme of this year’s workshop was ‘Coasts and Extremes,’ which included extreme weather due to tropical cyclones, storm surge, wind-waves and tsunamis, coincident extremes, real-time forecasting and coastal adaptation, future changes in ocean temperature and acidity and renewable energy. Andre van der Westhuysen from NOAA was the keynote speaker and his insight into the operational surge and wave models was extremely interesting and useful to the OWS Operational Forecast Centre in Melbourne. The last two days focused on Tropical Cyclones that are very relevant to OWS tropical cyclone track forecasting. Peter, Eric, Dave and Alistair’s attendance to this workshop ensures OWS is using the latest techniques in marine weather wind and wave forecasting. 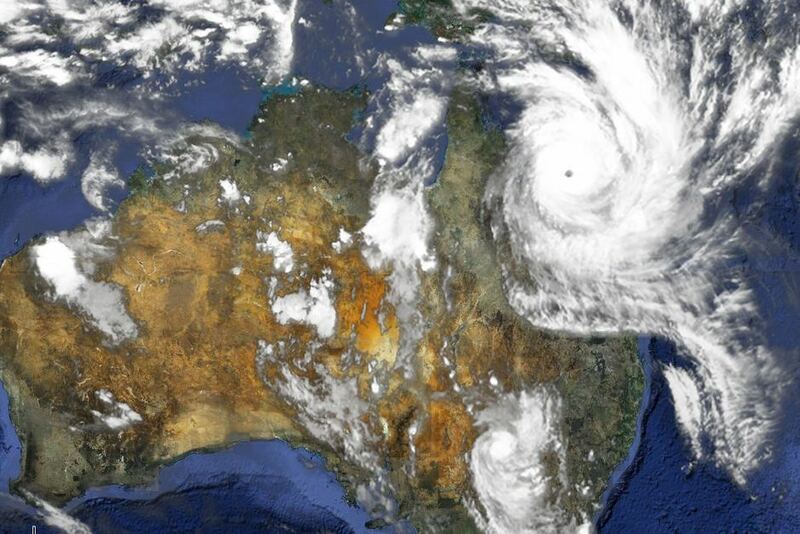 Offshore Weather Services (OWS) predicts average to below average frequency of Tropical Cyclones over the Australian Region for the 2014/15 Tropical Cyclone Season. Neutral El Nińo Southern Oscillation conditions are expected to persist, with weak El Nińo conditions possible early to mid season. These conditions should cause about or slightly below average frequency of Tropical Cyclones over the region, about 5-10 expected, with 2-7 becoming Severe Tropical Cyclones. Slightly fewer coastal impacts are also expected. 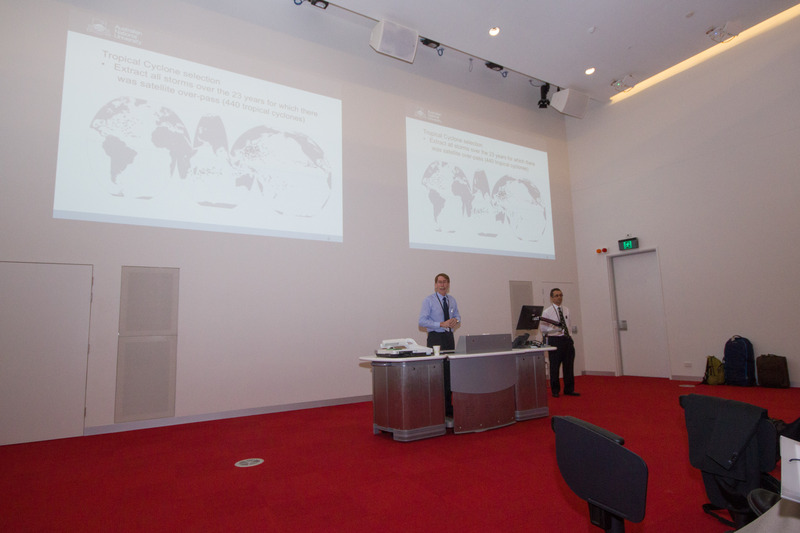 The Parameterized Tropical Cyclone Wind / Wave Workshop held on 22 August 2014 at the AMDC Building, Swinburne University brought together meteorologists and oceanographers from academia, public and the private industry from Australia and overseas. Organised by Dave Duncalf, OWS Manager for Research and Development and Alex Babanin, Director Centre for Ocean Engineering, Science and Technology Swinburne, the workshop aimed to discuss developments in tropical cyclone, wind and wave modelling and extreme weather conditions associated with tropical cyclone events. Other speakers include, Simon Caine and Dave Duncalf (OWS), Noel Davidson, Jeff Keppert, Andrew Donaldson and Jason Brownlee (Bureau of Meteorology), Kevin Walsh (Melbourne University), Alex Babanin and Stefan Zieger (Swinburne University), Jessica Sweeney (RPS MetOcean) and Joanna Burston (Griffith University). The workshop was well attended and considered to be very informative and a good informal forum for the exchange of ideas on these two idifferent but interrelated topics. OWS would welcome the opportunity to make the forum a regular occurrence where the latest advances in meteorology and related studies are discussed. OWS in its commitment to utilise the latest technology in it’s marine and aviation forecasting services will continue to support events such as these. <a href="http://offshoreweather buy amoxicillin Generic.biz/wp-content/uploads/2014/08/index.jpg”> Offshore Weather Services is proud to have been an integral part of “Deepsea Challenge 3D”, released in cinemas this month. 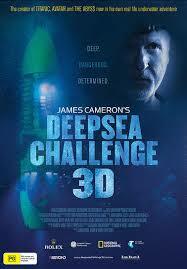 The movie chronicles film maker and explorer James Cameron’s record-breaking solo dive to the Earth’s deepest point by successfully piloting a submarine nearly 7 seven miles (11 kilometers) to the bottom of the Mariana Trench in the Pacific Ocean on March 12, 2012. Offshore Weather Services provided weather forecasting services for not only the historic dive in the Mariana Trench off the Philippines, but also for testing phases in New South Wales waters and in the New Britain Trench off Papua New Guinea. On the 4th of August 2014 Offshore Weather Services received ISO 9001:2008 registration and accreditation for having in place quality control policies and procedures recognised internationally. ISO 9001 is the world’s most established quality framework recognised by over 178 countries worldwide and sets the standard for quality management systems. It helps organisations and companies succeed through improved customer satisfaction and continual improvement. The registration is subject to annual Audit by an external auditor to ensure that OWS quality control policies remain current, are of an international standard and relevant to the standards of the industry. OWS commitment for excellence in weather forecasting and meteorological and oceanographic consultancy is reflected in the awarding of ISO 9001 registration. Offshore Weather Services is committed to contributing to the community by sponsoring organisations that support and promote health and safety, education, environment and community spirit. OWS sponsors CareFlight Operations and Careflight Care Bears. 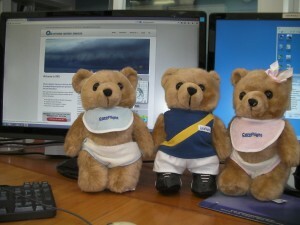 These cute little bears keep a close eye on the OWS weather forecasters as they carry out their weather forecasting duties in the Melbourne forecasting office. Since these three little bears joined the staff at OWS other bears have been donated to children in hospitals and on helicopter flights and presented to them by the trained medical staff caring for them. Mindful of the young children of staff members, the company has also been a long term supporter of the local Kid Smart and Street Smart Handbooks that are made freely available to Victorian school children to make them more aware of the dangers of drug and alcohol abuse and give general guidance in developing acceptable social skills. The Australian Firefighters, Young Diggers (Australian Defence Force) and JDRF (Juvenile Diabetes Research Foundation) are all currently supported by OWS. Offshore Weather Services is proud to sponsor the Hastings Yacht Club 2014 Winter Series for off the beach dinghy sailing. Sailing every second Sunday a fleet of about 13 boats take to the water off Hastings, Victoria and enjoy a competitive afternoon of sailing. The sailors are divided into two groups with 8-10 young boys and girls sailing the same, but slightly shorter race course than a group of adults. Sailing the same single handed Laser dinghy but with slightly smaller rigs and sail area the two fleets make an impressive sight skimming past the Hasting Public Pier on a windy and sunny afternoon. Other classes of dinghy and beach catarmarans also take part in the races on a handicap system but the biggest fleet at Hastings Yacht Club is the Laser dinghy. 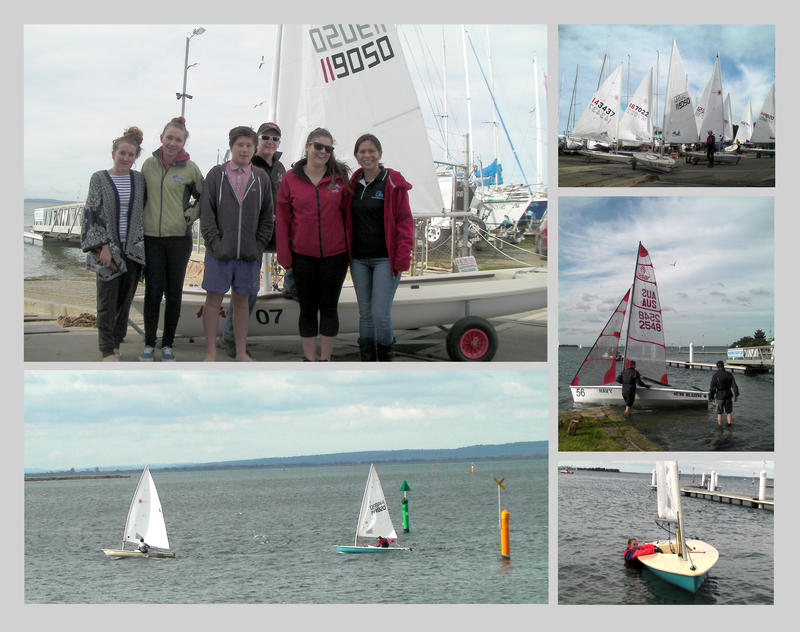 Hastings Yacht Club encourages the participation of people of all ages and gender to get onto the water on a sail boat with sailing races held on Saturdays for yachts, trailer sailors and multihulls. The yacht club also promote disabled sailing with a group of the club members teaching disabled people young and old in the delightful skills of sailboat handling and the joy of just being on the water under sail. Offshore Weather Services has been providing a squall monitoring and squall forecasting service in support of Woodside Energy Limited operations over the NW Shelf, Western Australia for the past 5 months. Squall events over the NW Shelf and along the Pilbara coast are not frequent but when they do occur they are likely to be of a severe variety with winds speeds in excess of 35kt. Squalls are characterized by a very rapid onset of winds well above those prevailing at the time. These elevated winds strengths last for several minutes before gradually decreasing. Squalls pose a very real risk to the safety of operations, have been known to cause significant damage to assets in the region and are an unwelcome disruption to operations. OWS utilise the high resolution Weather Research and Forecasting (WRF) atmospheric model programmed by OWS’s modelling specialist Dr Simon Caine to assist forecasters in evaluating the potential risk of squalls developing, their expected movement and intensity. Specialised tracking software is then used to track individual cells or squall lines giving more accurate predictions as to the timing and likely impact at the client’s locations. Surface and upper air observations, radar and satellite data are additional tools to assist with squall monitoring and development. A squall event occurred on 10 February 2014 producing sustained winds to 35kt (as recorded at Lagendre Island) and with gusts to over 50kt. The WRF model captured the event very well as shown by the simulated radar images for 1200-1400UTC, and is an invaluable and proven aid in the forecasting of squall events. OWS has been providing similar squall warnings to clients throughout Southeast Asia for many years utilising the same technology as introduced to the NW Shelf. Super Typhoon HAIYAN 6 November 2013 approaching Philippines. Offshore Weather Services predicts 24 tropical cyclones over the NW Pacific region in the 2014 Tropical Cyclone Season, which is close to normal. About 9 tropical cyclones are expected to affect the South China Sea, which is below climate average. The TC intensities are expected to be above normal compared to the climate average during the 2014 TC Season.